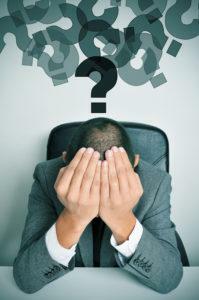 Bankruptcy is not the only way to handle your debt problems. It is best to continue paying your debts in a timely manner. However, that is simply not an option for many people with debt problems. An experienced debt lawyer can you find an alternative to bankruptcy that best works for your situation. Debt settlement involves negotiating arrangements whereby creditors agreed to take less than the full amount due in a lump-sum payment. This solution is very dangerous because you must become extremely delinquent on your debts in order to gain the leverage necessary to obtain significant settlements. Even then, nobody can guarantee that a certain debt can negotiated, and if so, for how much. There is also no guarantee that a creditor won’t sue you before a negotiated settlement can be arranged. Debt settlement affects how much you pay in taxes. If you owe $5,000 on a credit card and settlement reduces the amount to $2,500, the savings of $2,500 is taxable income to you. You must therefore report it on your tax return. This means that you’ll have to pay taxes on the $2,500 savings, which may reduce your overall savings. In addition, a 2005 report issued by the National Consumer Law Center entitled “An Investigation of Debt Settlement Companies: An Unsettling Business for Consumers” found that very few consumers ever complete a debt settlement program. The report shows that consumers continue to face collection efforts. In addition, their debts grow as creditors continue to pile on fees and interest charges. Another alternative to bankruptcy is credit counseling. Credit counseling involves a negotiated reduction in payments with each of your creditors. Creditors will often put a statement onto the credit report that says you are using a counseling service. This may harm your credit rating depending upon your situation. Many agencies tell you that it will take a certain amount of time for you to complete your repayment plan, but what they may not tell you is that it all depends upon what your creditors accept as repayment. Creditors hold the cards in this situation – some will drop the interest rates, some won’t, some will accept the counseling plan, and some won’t. Each individual plan is different and yet creditors must be universally satisfied. If not, your repayment plan can take many more months – even years – longer than the agency originally may tell you it will take. Many credit counseling agencies get their funding from the major credit card issuers. This means that counseling agencies say they are working for you but are actually working for the credit card companies. If your counseling agency is accepting payments from credit card issuers then they may not be working in your best interests. Always check up on your credit counseling or debt settlement agency. Get in touch with the Better Business Bureau and make sure the agency has a license. Then, find out if they accept payments directly from creditors, and get a written guarantee of how long it will take for your debts to be paid in full. If you are overwhelmed by debt, contact an attorney to discuss your options. You may be able to find an alternative to bankruptcy.